The Couristan brand, revered for over 80 years for exquisite floor covering fashions, founded in 1926 by the two Couri brothers. Couristan, Inc., privately owned/operated, is thriving today under innovative leadership of second generation Couri family. In 1961 technological advancements helped the company produce affordable power-loomed area rugs inspired by original handmade designs. Couristan’s assortment now includes over 35 collections. Woven from natural fiber or synthetic blends, offering beauty and distinctive patterns in today's most sought after colors. Couristan features a full-range of sizes and shapes, and one of the industry’s largest assortments of roll runners, providing endless decorating solutions for the entire home. 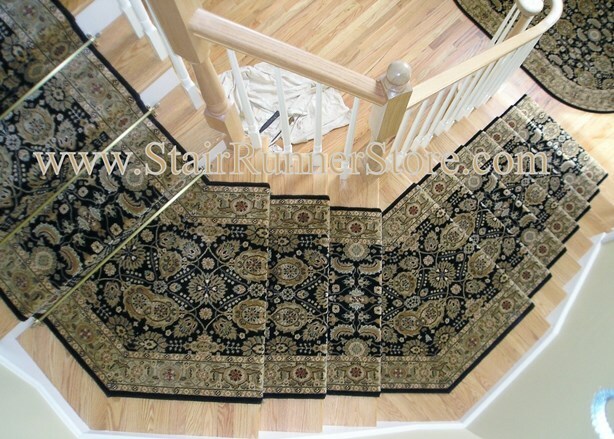 Couristan's fine products deserve the expertise offered only by the “The Stair Runner Store”, with fabrication and installation experience unparalleled in the stair runner business.